The FMD is designed to protect patients by minimising the chances of counterfeit medicines entering into the established medicines supply chain across Europe. It will enable manufacturers, wholesalers, distributors and everyone who supplies to patients to verify the authenticity of a medicinal product, identify individual packs, and check whether the outer packaging of medicines has been tampered with. Newbury Data have been working with FMVerify to build a reliable, effective solution working closely with CipherLab Co., Ltd, Printronix Auto ID & Zebra Technologies helping businesses be compliant with the FMD directive approaching. Get in touch to discuss how we can aid your requirements. The FMD will introduce a system to track legitimate medicines from manufacturers to patients. Manufacturers will be obliged to apply safety features to each pack: a tamper-proof security seal and a 2D barcode. The barcode enables each pack to be serialised with a unique randomised number, which will be authenticated before dispensing. 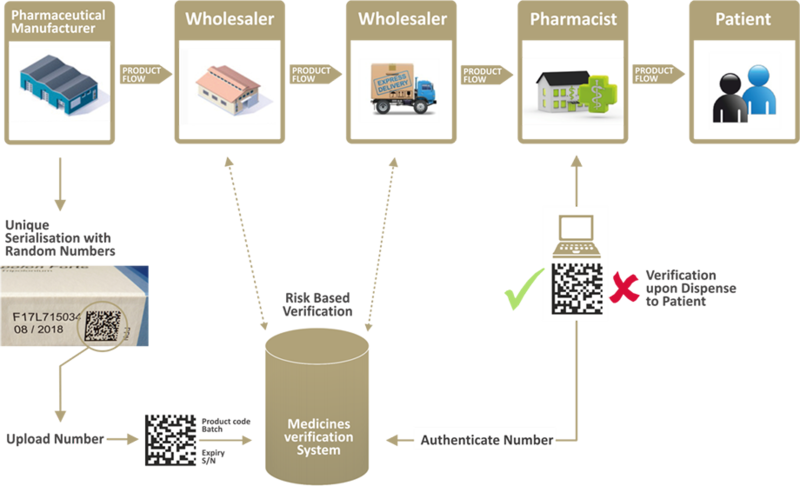 This identification data will be stored in a database managed by the European Medicines Verification Organisation (EMVO), and supported at national level in the UK by the UK Medicines Verification Organisation (UKMVO), a not-for-profit organisation also known as SecurMedUk Ltd. Manufacturers will check packs into the database and they will be authenticated, decommissioned or “checked out” in the pharmacy by scanning the barcode. This sends a message to the database, which then considers the authenticity of that pack, sending confirmation back to the pharmacy. What will happen to medicines already in the system? The FMD is not going to be operational until February 2019 and manufacturers are already working on it, so there will be a long transitional period where packs without the barcode will be taken out of the system. How will we know if there is a problem with a pack? If the pack hasn’t been registered by the manufacturer or parallel importer for the UK, or if the system thinks the pack has already been decommissioned (i.e. it could be a counterfeit or faulty medicine or a pack that has been reported stolen) then a warning alert not to supply the pack will be issued. The Medicines and Healthcare products Regulatory Agency (MHRA) — the UK’s regulatory authority for medicines (the national competent authority) — will also be informed. Will the FMD apply to all medicines? In practice, almost all prescription medicines will require a barcode. There will be a few exceptions that will appear on a “white” list. Over the counter (OTC) medicines will only need to be scanned if there is evidence of them being subject to counterfeiting. In these circumstances they will appear on a “black” list. The MHRA will hold and monitor both lists. Who will be affected by the FMD? Operationally, the FMD will affect everyone along the supply chain because they will need to comply with the new legislation. If everything works well, patients should not be affected. But if a counterfeit is found just prior to dispensing there might be a delay in the patient obtaining their medicine. The FMD legislation is deliberately vague about the definition of “point of dispensing”, which it says should be as near to the patient receiving the pack as possible. But there is some flexibility — for example, you could have a two-stage process; scanning to authenticate when the stock comes into the pharmacy and then checking out when the pack is used. Different countries have different ways of doing things. Do pharmacists need to prepare for the new legislation? Pharmacists will need to have an awareness of the new legislation, as with any changes in the law, and they will have to become familiar with the new software. But I don’t envisage that being a heavy burden — some systems already use scanning technology. Whenever any new legislation comes in, the RPS looks at it to see how we can support pharmacists — this won’t be any different. Standard operating procedures (SOPs) will need to be revised to accommodate the new processes, including those for dispensing, reporting exceptional events, business continuity plans and staff training. What other benefits do you think will come from the FMD? 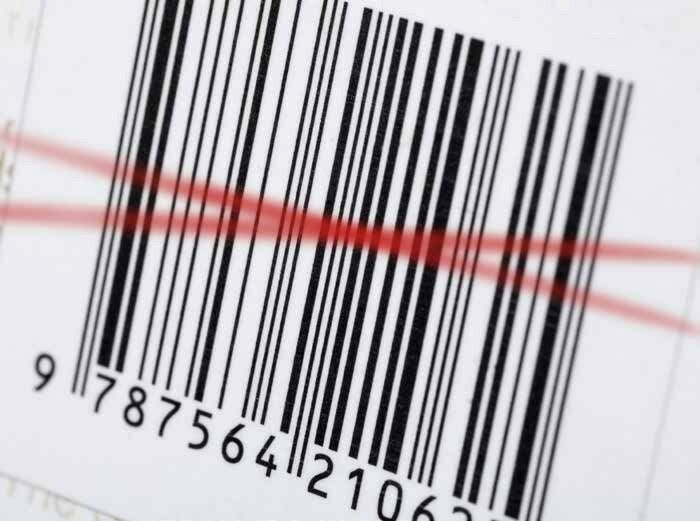 The 2D barcode can hold more information than is required by the legislation, and the RPS has suggested that extra safety features could be added. For example, with electronic prescribing you could scan the pack and link it to a prescription as an extra accuracy check and as an expiry date check. There are also many innovative possibilities, such as having patient information videos on use of medicines built in. What are the challenges associated with FMD? The FMD will require changes to be made in the way pharmacists work. For example, there’s a ten-day window for re-entering packs back into the system; so if you scan a pack when a prescription is assembled but the patient doesn’t collect it within ten days you cannot re-enter it into the system. Whereas, if you scan the pack when the patient picks up their prescription you wouldn’t have that problem. There are also questions around how FMD will work with hub and spoke operations.